There’s an awesome Tarot deck out from Schiffer Publishing, that at first I was a bit hesitant about….as a rule of thumb, I generally do not do health readings simply because it’s always better to see a doctor for any medical questions or concerns but as I worked with this deck I was amazed at how accurate and insightful it’s readings were! Now this is a deck that I would not use as a “go to” deck simply because of it’s nature but it’s fantastic when used to ascertain health concerns or areas to focus on to perhaps bring your physicians attention if necessary…with that being said, on with my review of this fabulous new Tarot deck! The Healing Tarot…78 ways to Wellness is a 78 card deck which seems a tad thicker than most of the decks out there but is just the right size that nearly everyone can shuffle easily. It measures approximately 3 inches wide by 5 inches long, a bit longer that traditional decks but like I said shuffles quite easily. It has a wonderful glossy lamination and the backs are designed to be used with reversals, if you prefer. 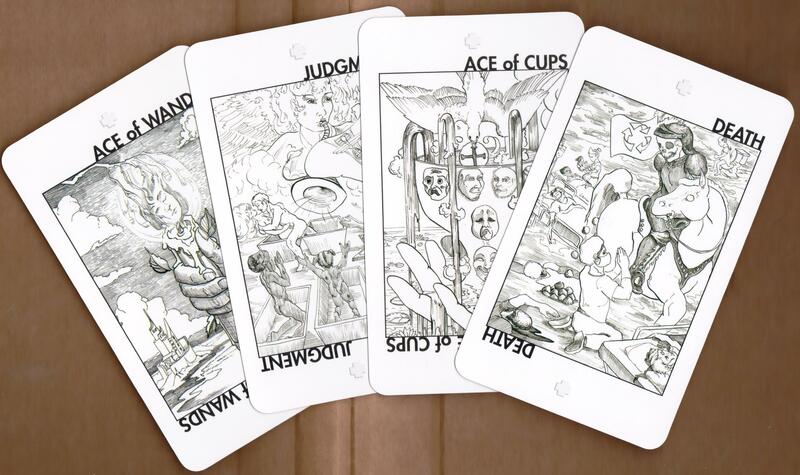 It comes with a 192 extremely detailed booklet that gives each cards meanings on several different levels. 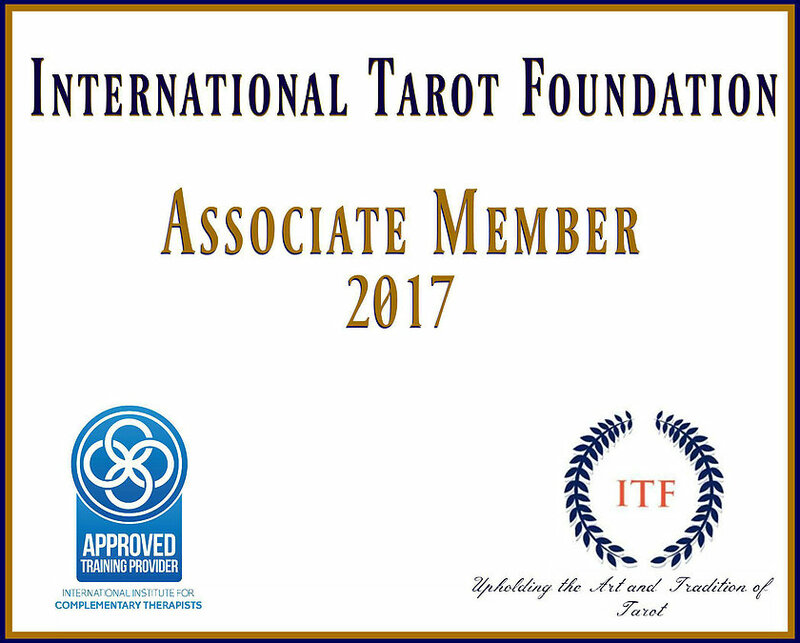 Now, this is where it really knocked my socks off…..although the imagery is all in line drawing, each individual card has corresponding explanations in the booklet that address holistic healing; what wellness really means and introduces working with the Tarot on a health and wellness platform. The associations include medical astrology, Qabalistic aspects; traditional Tarot meanings and how to identify well aspected cards; poorly aspected cards and the integration of astrological attributes, upright and reversed meanings; as well as negative astrological combinations; positive astrological combinations and traditional relationships of the planets with each other when they come up in readings. The information can seem overwhelming at first but I absolutely adore all of it …I was gifted with an amazing memory and everything contained in this kit gives me TONS of material to work with in my readings for myself or close family. I was somewhat confused at first as to why there were no bright colors but upon reading the accompanying booklet, I found out that although colors do add an extra dimension to spreads and layouts, the Healing Tarot takes the cards and their imagery back down to the basics in order to really understand the health and wellness messages from the cards. This makes a lot of sense when I think about it, some decks can be so distracting with many brightly colored images and symbols that it can be easy to get distracted! Illustrator Monica Knighton, does an absolutely brilliant job in her depictions of situations we may encounter in our modern everyday life and therefor it becomes more relative to us when we can identify scenes and items that we are used to today. This is on my “Must Have” list for those who want to consider a Holistic Wellness angle to their lives and once you’ve worked with the deck for awhile, it becomes very easy to switch between traditional decks and The Healing Tarot seamlessly! I’m not sure I would recommend it for beginners, however, but for anyone with a firm foundation of Tarot can easily use this deck. definitely an awesome Tarot deck.